Want A Personalized Copy of Stay For Your Graduate? If your Graduate is a dog lover you can give them a personally autographed copy of Stay. 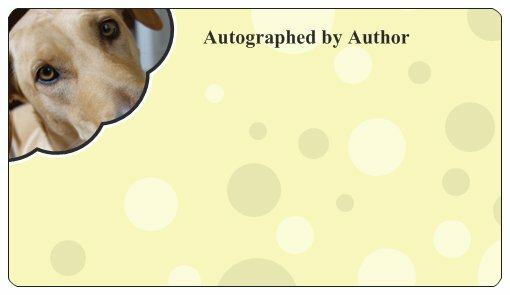 I have a limited number of special adhesive autograph plates that I am going to send out to purchasers of Stay. What a unique gift for Graduation to give your graduate a personalized and autographed book! I will personalize and sign this adhesive plate and promptly mail it to you. Go out and buy a copy of Stay or order online (this is on the honor system). Email me at dave@daveburchett.com and tell me where you bought it, how you want it signed and where you want it mailed. Simple. The cutoff date for Graduation gifts is May 31st or whenever I run out of plates. Don’t miss out on this unique and special gift for your Graduate. Buy your copy, send me your address and how you want the book signed. This offer will end soon so fetch your copy today!